With the return of its iconic Saddle Bag, it’s safe to say that Dior is having a major moment this Fall. Lucky for me, I saved my little Dior Saddle Bag from back in the day, so you can imagine that I’ve always had a thing for Dior. These days my style is a bit more downtown cool with a much more casual vibe than ever before and a lot less ladylike than it used to be. 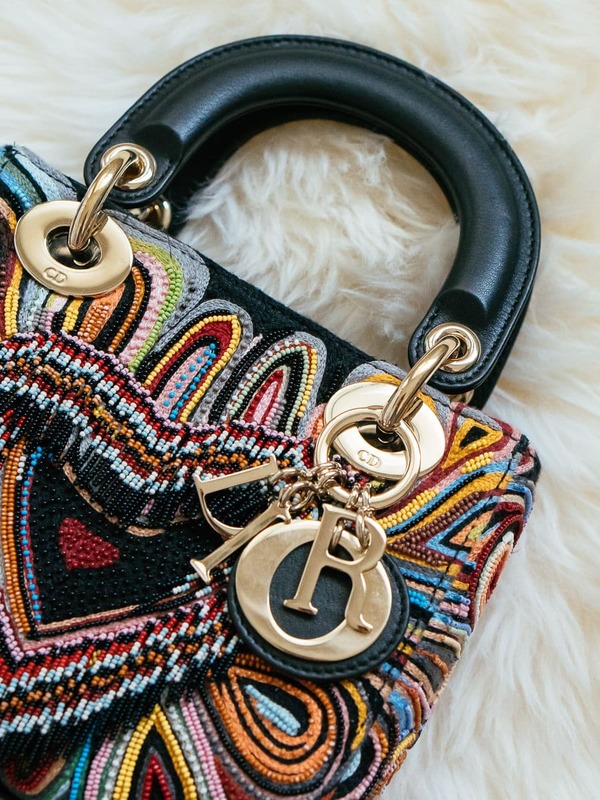 I find myself leaning towards bags that fit that bill as well, and while The Dior Lady Bag is certainly eye-catching and incredibly elegant, it’s almost a bit too elegant for me, so I was surprised when I found myself really lusting after a Lady Bag. 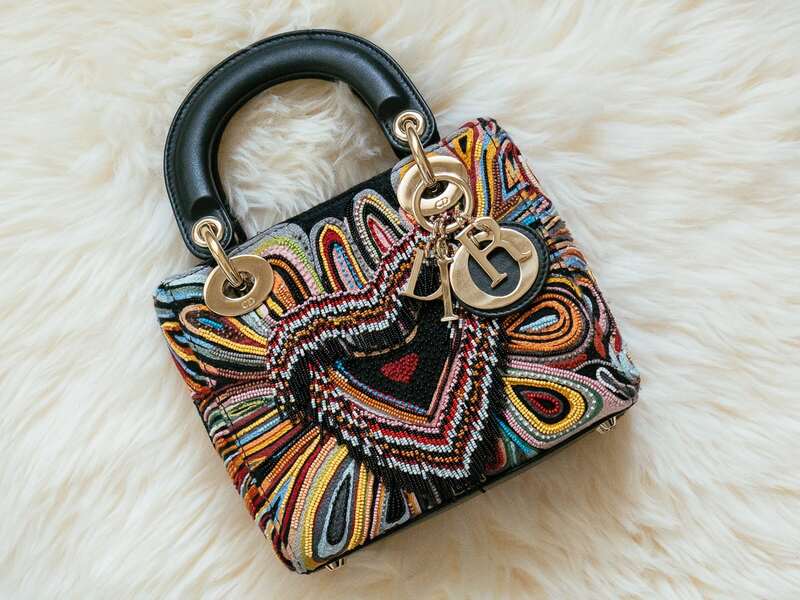 The Mini Lady Dior Bag in Embroidered Canvas is insanely cool and suits my style more than I ever imagined that a lady bag could. This embellished lady is brand new for Fall 2018 and I seriously wish that it were mine. If you follow us on Instagram than you know I took this fun mini bag out for a spin. 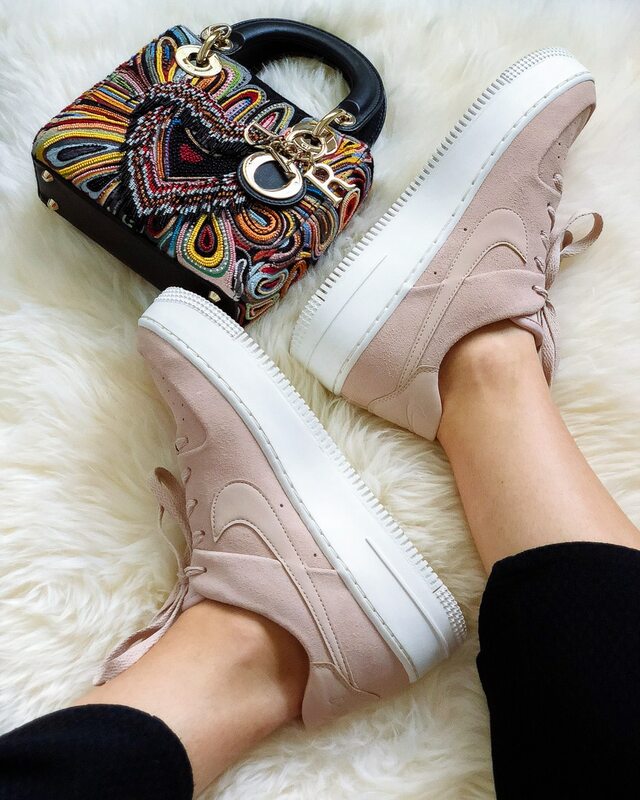 I wore her with an all black outfit and my new fav sneakers—Nike’s Air Force 1 Sage Low Platforms This bag is truly eye-catching. Beaded fringe detailing makes up a Dioramour heart. Like the classic Dior Lady, this mini has hanging hardware logo and a flap top closure. The bag can be carried via the top handle or worn over the shoulder as well as crossbody using the longer detachable strap. True to its name this bag is tiny, but I was able to fit everything I would need for a night out, or a day running around NYC. I don’t mind mini bags so much, as I’m very used to carrying around a canvas tote in addition to my purse, which holds my laptop and other miscellaneous items. 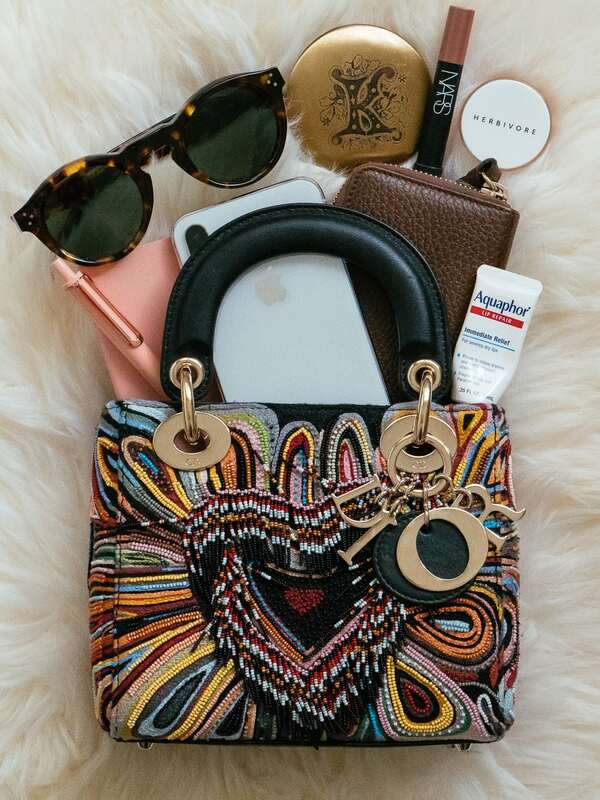 The Mini Lady Dior Bag packed in my iPhone X, sunglasses in a thin microfiber pouch, a small notebook + pen, a small zip-around wallet, a mirror plus my bare necessities in terms of cosmetics—Aquaphor, a NARS lip color and Herbivore Botanicals Lip Balm. This Dior Lady retails for $4,400 at Dior Boutiques Nationwide. Discover more now via Dior.